Which Retailers Have the Best and Worst Return Policies for Consumers? 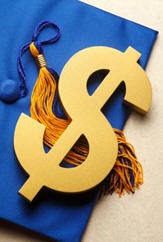 The High Cost of Tuition: How Can Your Credit Union Help? Which Retailers Have the Best and Worst Return Policies for Consumers? ‘Tis the season for shopping and getting gifts you may not want or need. How will you fare with retailers when you try to return those items that don’t fit or can’t keep? Here is the lowdown on the 10 best retailer return policies, and 5 retailers who make it difficult for consumers to return unwanted items. According to Michelle Smith, a freelance business and finance writer, the best return policies make it simple and easy for customers to return or exchange a purchase if they aren’t satisfied. In fact, many of the 10 best return policies place no time limits on returns, and some will accept exchanges and returns even for well-used items. These favorable return policies truly put the customer first, which is a huge help for the shopper struggling with a holiday spending hangover, or a giftee dealing with a haul of unwanted presents. Click through to see the 10 stores with the most generous return policies this holiday season. 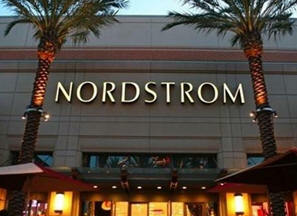 Nordstrom made our list of the best return policies last year, and its generous policy put it among the best this year. This is because Nordstrom actually has no return policy. The store "handle[s] returns on a case-by-case basis with the ultimate objective of satisfying the customer," according to its site. The store's site also said it has a philosophy to ensure its customers are satisfied, and will always try to deal with customers "fairly and reasonably." In practice, this gives Nordstrom team members a lot of flexibility on returns, which can work in the customer's favor. For instance, there is no time limit on returns or exchanges, and Nordstrom's return policy does not have any hard-and-fast rules against returning items without a receipt, without tags or that have been worn (special occasion dresses excluded). Nordstrom's online return policy is similarly generous, and return shipping is free. Shoppers should note that the Nordstrom Rack return policy is different, granting 90 days to return items, and requiring returns to have original tags and receipt or packing slip. Like Nordstrom, L.L. Bean's return policy focuses on making sure you're happy. "If your purchase isn't completely satisfactory, we're happy to accept your exchange or return at any time for items purchased directly from us," according to the L.L. Bean return policy page. L.L. Bean items can be exchanged or returned at any time with no limits — even after years of use. Having a receipt handy will make a return easier, but is not required. Returns made without a receipt will be refunded in the form of store credit at the item's current selling price, or replaced by an exchange for a similar item. Returns can also be completed by mail. 3. Bed Bath & Beyond Return Policy. 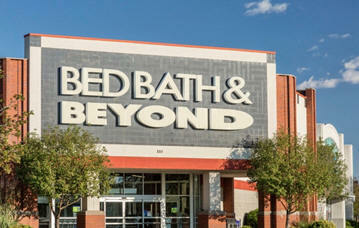 Bed Bath & Beyond makes returns relatively easy and places few restrictions, accepting returns in store and by mail. The retailer even covers return shipping costs. The Bed Bath & Beyond return policy carries no time limit, which allows buyers to return a purchase at any time, with some exceptions. With a receipt, refunds are issued in the original form of payment, except for returns made with gift receipts, which are refunded with merchandise credit. Without a receipt, a Bed Bath & Beyond employee can look up a purchase made in the last 365 days. If a record can't be located, you can still get a refund — though it will be store credit equal to the item's current purchase price less 20 percent. 4. JC Penney Return Policy. JC Penney will make a full return at any time on its items. It also accepts returns and exchanges without a receipt. There's no indication that original packaging is always required, except on certain types of items, like electronics and special occasion dresses. Returns made without a receipt, or with a gift receipt, will receive store credit. While JC Penney is another retailer with no time limit on returns, it also has more exceptions to this rule for furniture, fine jewelry and electronics. Many of these types of items will also require a sales receipt for return. In general, however, JC Penney's return policy gives customers plenty of leeway to get an exchange or refund when they want it. Costco places no time limit on returns, and the store strives to "guarantee your satisfaction on every product we sell with a full refund." The Costco return policy allows for items to be returned at any time. 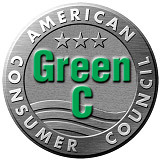 Consumer electronics are the exceptions to this, but even these products receive a 90-day window for returns. Costco prefers customers include the original packaging and bring their receipt when possible. However, these aren't required, and employees will still "do our best to process your return without it." In most cases, since Costco requires a membership to shop at its stores, purchases can be looked up on the membership if the customer no longer has a receipt. Costco offers returns at its stores only and not through mail, except for large or heavy items for which the warehouse retailer can arrange pickup. 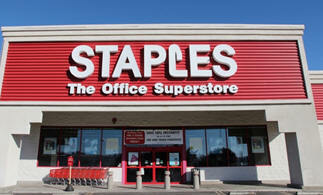 Staples accepts returns in-store, and offers free online returns. Staples will accept returns from a customer at any time and for any reason — no time limits. Furniture and office electronics do carry a 14-day time limit for returns, but this is extended for the holiday season to allow for gifts to be returned. Items returned to Staples must be in "salable condition" with the original packaging, but can be returned with or without a receipt. If you can't provide a receipt, Staples will try to look up the purchase to give you a full refund in the original payment method. If it can't be located, you'll still get a refund for the item's lowest sale price in the last 30 days, in the form of store credit. As an online retailer, Zappos' return policy sets the bar high: It gives customers 365 days to return items, and provides free shipping labels for all returns. This is a huge convenience for online shoppers, since shoes and apparel can be a different shade than expected, or be less than flattering when tried on. 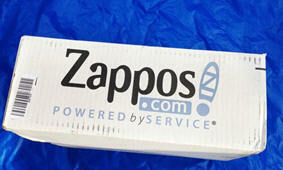 With free return shipping, shoppers can buy items at Zappos knowing it'll be easy (and free!) to return them if they turn out to be different than expected. Items must be in like-new condition and in their original packaging to qualify for a return to Zappos.com. Purchases are also tied to a Zappos account, so members of the site never have to worry about a misplaced receipt or packing slip. Items purchased from REI can be returned at any time within 365 days, for any reason, thanks to the store's 100 percent satisfaction guarantee. You have a year to decide if you're satisfied with your purchase, and if you aren't, REI will replace or refund your purchase. REI will even accept returns on open and used items, though it clarifies that its guarantee doesn't cover damage from normal wear and tear, improper use or accidents. The only factor that kept REI out of the top five is its policy not to accept any returns or exchanges without proof of purchase — like a receipt, gift receipt or shipping invoice. Shoppers can sign up for an REI membership to tie purchases to their member number, which can be used to look up past purchases even without a receipt. 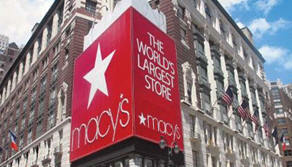 Macy's return policy allows buyers to return a purchase at any time, with no time limit, which is the main perk that made it one of the best return policies out there. Items returned with a gift receipt are only eligible for refunds via store credit. Likewise, shoppers can make returns without a receipt, but only for store credit equal to the item's lowest selling price in the last 180 days. Items must also be unused, unworn and unwashed to be accepted for return. Customers of Kohl's have no time limit to contend with when returning items to this retailer, which helped put the Kohl's return policy among the top 10. Items can also be returned without a receipt. Kohl's employees can look up the purchases made in the last 12 months, via a card number or other methods, to give you a full refund. If you have no receipt and the purchase can't be found in the store's database, a refund will be issued in the form of merchandise credit. The worst of the return policies surveyed by GOBankingRates had a few things in common: They have short time limits on returns, often don't accept returns without a receipt and have other terms that make returns trickier. The worst store, in fact, doesn't offer refunds at all — returns are only eligible for exchange or store credit. You'd better be sure about your purchases if you're shopping at the retailers with the worst return policies. Click through for the details on the five worst return policies. 1. Forever 21 Return Policy. Forever 21's return policy is the worst of the retailers surveyed, and makes it harder for customers to get back their money once it's spent. Forever 21 only allows 21 days for returns, and purchases can only be exchanged for other items or refunded in store credit, not in the original form of payment. Items must also be unworn, unwashed and unused with tags still attached. 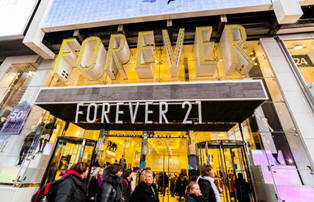 Forever 21 will be extending its return window for the holidays this year, so ask the cashier about this at checkout. For online returns by mail, Forever 21's policy is slightly better. It extends the return window to 30 days, and will refund the purchase to the credit card used to pay. The Forever 21 return policy also noted that final sale items, cosmetics and gift cards cannot be returned for a refund or exchange, except to correct a defect or error. Kmart allows just 30 days for customers to return items, and does not accept returns made without a receipt. 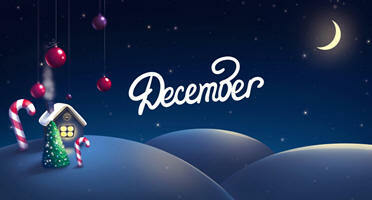 Customers making a return with a gift receipt can receive an exchange for store credit only. Many items will not be eligible for return if their packages are opened — including music, movies, video games and software. Kmart has no plans to offer an extended holiday return window this year, the retailer confirmed via Twitter. 3. Barnes & Noble Return Policy. The window for returns allowed by Barnes & Noble is the shortest on our survey, at just two weeks (14 days). Items must be unopened and returned in their original condition, per the Barnes & Noble return policy, though refunds will be issued in the original form of payment. The bookseller will not issue returns without a receipt or other proof of payment, and returns made with a gift receipt will receive refunds via store credit. 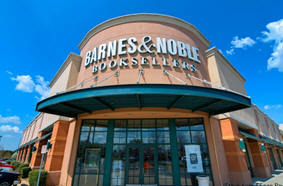 Barnes & Noble did extend its return window last holiday season, CNBC reported. GameStop allows just 30 days for returns, and will make no returns without a receipt. Items returned with a gift receipt qualify only for exchanges or refunds in store credit. Pre-owned items can be returned for a refund within seven days, or for an identical exchange within 30 days. GameStop's return policy requires that all items be returned with original packaging and in "sellable condition," and reserves the right to refuse returns of opened items. Sears has a worst return policy that does not allow returns without a receipt. The department store will only make returns for which the customer can provide a receipt or other proof of purchase within 30 days. Sears' return policy on gift receipts is to provide only exchanges or refunds via gift cards. However, Sears will extend its return on windows for the holidays, allowing items purchased by Dec. 24 to be returned through January 24, 2016. The original packaging is required for the return to be accepted, and some items will carry a 15 percent restocking fee which will be deducted from the refund. 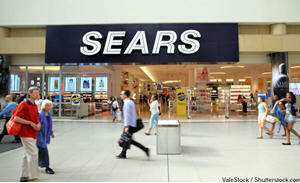 Sears will not accept any returns of Christmas season items after December 25. Methodology: GOBankingRates surveyed the return policies of 31 major retailers popular during the holiday shopping season to determine the best and worst. GOBankingRates ranked each policy on (1) the return window provided, (2) whether the retailer accepted returns without a receipt, (3) the condition required for returns, and (4) whether the store typically offered extended holiday returns. Other return policy terms unique to retailers were considered in the rankings, as they benefited the customer. About the Author. Michelle Smith is a freelance business and finance writer with an extensive background in journalism. She served as a foreign correspondent for Russia Today, and as a resource reporter for Dig Media, her work was published on numerous channels, including Gold Investing News, Platinum Investing News and Diamond Investing News. She also contributed to Money News, Fool.com, Money Crashers and The Food Institute. 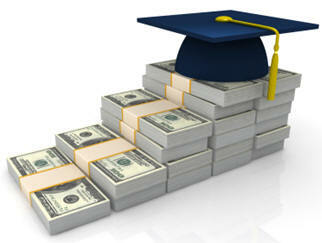 Total student debt in this country now surpasses $1 trillion and is growing every day. For many families, the “American dream” of a college education now translates into long-term debt and financial hardship. Even state schools are asking students to shoulder more of the financial burden than ever before. Average debt levels for all graduating seniors with student loans rose to $29,400 in 2012 a 25% increase from $23,450 in 2008. At public colleges, average debt was $25,550 25% higher than in 2008, when the average was $20,450. At private nonprofit colleges, average debt was $32,300 15% higher than in 2008, when the average was $28,200. At for-profit colleges, average debt was $39,950 26% higher than in 2008, when the average was $31,800. Is it any surprise that the numbers are increasing? With the recession of 2008 hitting so many, these are worrisome figures. Many of those affected include professionals who might otherwise have been able to help defray these costs. Students are strapped with debt before they even get out into the world: and a hefty debt at that. Is it fair to turn out students whose initial concern after graduation is how can they repay the monumental debt that they accrued in college? What are the job placement prospects to alleviate the concern of paying off these loans? WHAT ARE THE STANDARD OPTIONS? FAFSA (Free Application for Federal Student Aid) is supposed to be easy but can be daunting for the first time applier. There are many requirements that need to be in place to include the latest tax return but using last year’s return for projecting parent’s/student’s income would do to get going. www. Fafsa.gov is where to go. How much you’ll get can be estimated by what’s called the FAFSA4caster which is a calculator that will ballpark your estimate of Federal Student Aid. You must use the FAFSA application to apply once you’ve decided on at least one school for admission. Stafford Loans, government loans, offer subsidized and unsubsidized loans, which range from $8,500 to $12,000 per year depending on which type you chose. The interest rates are currently projected at 4.66%, which accrues while the student is in school. The Pell Grant is available for undergraduates and doesn’t have to be repaid but is capped at $5,730 for 2014-2015 school year and $5,775 for the 2015-2016 school year, depending on need. This seems clear and straightforward, right? On the DOE’s website, it states that “your school determines the amount you can borrow, and the amount may not exceed your financial need.” Understood. 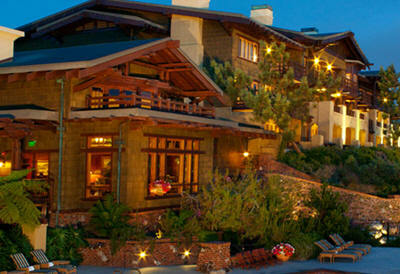 However, the approved amount isn’t going to cover the additional expenses. The need is there. So, where does the rest of the money come from then? A network of 340 colleges and universities across the United States are eager to attract more students to their institutions. These are good schools — 80% of the schools are on the U.S. News & World Report list of America’s best colleges, and these schools have additional openings to fill and are looking for additional qualified students. The colleges have authorized this program to work with partners and to offer them a free branded $750 tuition discount scholarship valid at all 340 schools. The only requirement is that the student be accepted on standard admission criteria (just like any other student) to be able to utilize their tuition savings. Marketing content is provided for partners to distribute to their members, featuring a free $750 scholarship at no cost to the credit union or to their member. When a member receives the free scholarship, they are also provided information on how to save up to a full year’s tuition for their children, by enrolling in the Lower Your Tuition membership program. The initial $750 tuition discount is free and theirs to keep with no obligation; membership is just $12.95 per month. The membership includes multiple benefits to help families save for college. 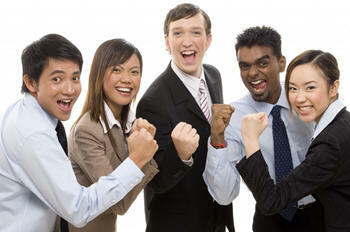 New members receive $1000 in tuition discounts just for joining, plus $250 more in tuition discounts every single month. After one year, a member will have accrued $4000 in tuition discounts plus the initial $750 in tuition discounts they received as a free gift. A family joining the program when a child enters ninth-grade will have $10,750 in tuition savings. A family that joins when their child is in kindergarten will have $37,750 in tuition savings — they can save up to one full year’s tuition and any remaining balance can be reassigned to siblings, cousins, nieces, nephews, stepchildren, godchildren, and even grandchildren. A portion of the dues is credited back to the credit union as fee income. In his State of the Union address, President Obama proposed eliminating some of the tax benefits of the 529 college tuition plans. This idea was met with strenuous objection by not only Republicans, but also, Democrats and the plan was quickly tabled. But it highlighted an issue that will continue to grow – how do we pay for that college degree that is so highly respected by employers? Once again, credit unions can be the leaders in an area often left behind by the banking industry – we can help our members help themselves.